Fulham‘s win over Wolves wasn’t all that surprising when you look at how close they are at the top of the rankings – both Cardiff and the Cottagers have been nearly as impressive as the runaway leaders this season. Hull continue their rehabilitation under Nigel Adkins while Millwall and QPR are also quietly improving. At the sharp end, Sunderland look to have levelled off after an alarming drop in performances, with Bolton and Burton standing apart as the two most vulnerable teams at the moment. 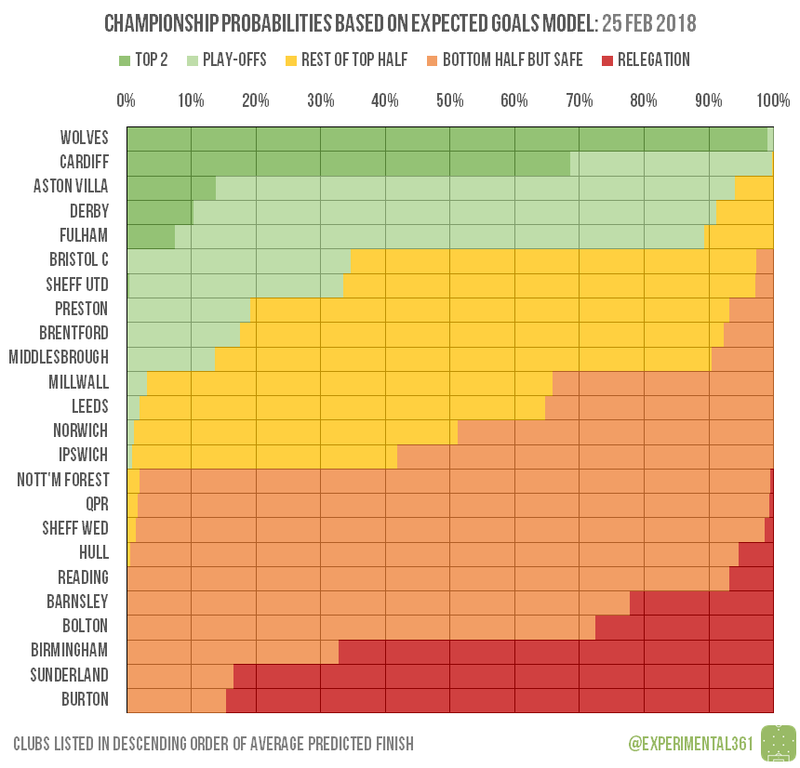 Sheffield Wednesday look to be in free fall at the moment while Bristol City are also slipping. 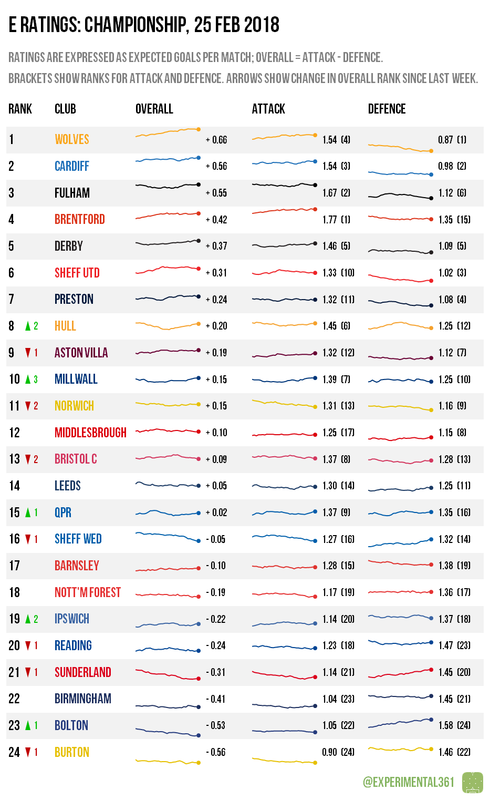 It’ll take a lot more than Wolves‘ recent blip to meaningfully reduce their chances of promotion, while Cardiff look nearly as secure in the race to complete the top two. The trio of Aston Villa, Derby and Fulham look poised to capitalise on any stumbles and are well-placed to finish in a top six spot regardless. The final play-off place is being scrapped over by five clubs, none of whom are looking comfortable as it stands. The current bottom three are looking likely to be the final bottom three at the moment, although Barnsley and Bolton are far from safe. Birmingham look the most capable of catching one of them, but even they look likelier than not to drop into the third tier.